Agriculture is Virginia’s largest industry by many metrics — economic impact, jobs, and area. There are approximately 46,000 farms covering 8.2 million acres (32%) of Virginia. Agriculture is also the largest source of nutrient and sediment pollution reaching local streams and the Chesapeake Bay. While many well-operated farms employ sound conservation practices that protect water quality, a lack of funding and technical resources prevent many farmers from implementing such practices. Consequentially, excess nutrients, sediment, bacteria, and toxins flow into local waterways, including the Chesapeake Bay. Each of these pollutants has different negative impacts on Virginia’s local waterways. Excess nutrients cause large algal blooms that can block light in streams or sink to the bottom of rivers and bays and rot. Rotting algae depletes oxygen from the water and can cause dead zones, which impact important commercial fisheries. Excess nutrients also support the growth of some species of algae, which produce toxic compounds. Sediment pollution buries important bottom habitats of waterways, including gravel spawning beds for trout and oyster reefs. Suspended sediment also blocks sunlight from reaching important underwater grasses, which act as habitat for blue crabs and other important aquatic species. Bacterial pollution impacts our ability to safely use waterways and can lead to beach and shellfish harvesting closures, as well as human health risks. These pollutants cause a large proportion of Virginia’s water quality impairments as described by the Virginia Department of Environmental Quality. The Chesapeake Bay is impaired for nutrients and sediment, and monitoring shows that nearly half of Virginia’s rivers and streams have bacterial impairments. Virginia’s Chesapeake Bay Watershed Implementation Plan has identified the agricultural sector as a critical component to addressing these water quality problems. To ensure the success of agricultural restoration across the state, we encourage Virginia lawmakers to fully fund the Virginia Agricultural Cost-Share Program (VACS). The Virginia Department of Conservation and Recreation administers VACS through the Soil and Water Conservation Board and Virginia’s 47 Soil and Water Conservation Districts. VACS provides financial and technical support to the Districts, which work with Local farmers to implement practices that restore and improve water quality by addressing agricultural runoff. VACS has assisted thousands of farmers in implementing more than 50 different types of best management practices (BMPs) to reduce pollution from reaching Virginia’s waterways. These BMPs include stream exclusion systems, which keep livestock out of streams while providing alternative water sources; nutrient management plans, which help ensure farmers use a sustainable amount of fertilizer; riparian buffers; conservation tillage; cover crops; and many other practices essential to protecting our streams, lakes, rivers, and bays. Investments in these agricultural BMPs help improve water quality, of course, but also create jobs and yield economic benefits. Livestock exclusion from streams can prevent calf losses and improve herd health. Increased efficiency of nutrient application helps reduce fertilizer costs for farmers. Finally, conservation tillage, cover crops, rotational grazing, and other practices help improve soil health, which in turn leads to improvements in yield. Implementation of these agricultural BMPs supports Virginia’s agricultural economy while improving water quality. 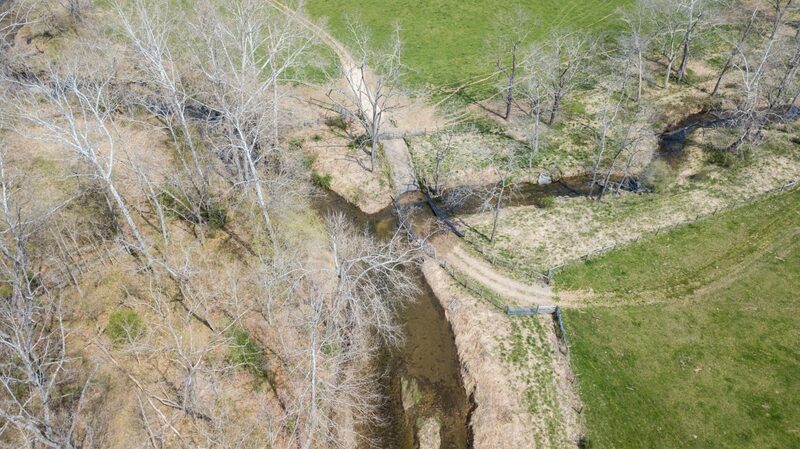 Every other year, the Virginia Department of Conservation and Recreation — along with farmers, the Soil and Water Conservation Districts, and other stakeholders — compiles a needs assessment that details the cost of necessary BMP implementation across the Commonwealth. 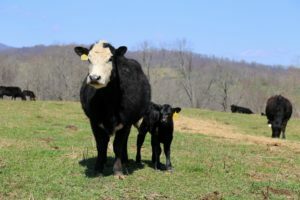 On average, the Virginia General Assembly has funded approximately $30 million over last decade, resulting in considerable improvement in clean water and agricultural productivity. However, this investment represents less than 30% of the documented need. In order to maximize benefits to local and downstream waterways and Virginia communities, full funding of these programs is needed. It is important to note that this level of investment in clean water in the Commonwealth is not unprecedented. Virginia invested nearly a billion dollars in wastewater treatment plant upgrades over the past decade, which has resulted in substantial improvements in water quality — our waterways are already responding to those improvements. If the state provides a similar level of investment in VACS — which is the most cost-effective means of reducing polluted runoff — it can likewise achieve substantial improvements in water quality for Virginia’s citizens. Historically, Virginia’s funding for agricultural BMPs and associated technical assistance has fluctuated significantly from year to year but has always fallen far below the state documented need. Enhanced funding is needed to improve water quality and ensure the continued vitality of agricultural economies in communities across the Commonwealth, both in and beyond the Chesapeake Bay watershed. Fund the Virginia Agricultural Cost-Share Program at the documented need of $100 million per year according to the Agricultural Needs Assessment. Uphold consistent and adequate annual funding to ensure certainty.